Eugenia Stull discovered a love for movement as an adult. After trying ballet, tap, and yoga; she found home in ATS® bellydance. After years of study with Katrina Ji, Nancy Brown, Caryn Vainio, and Shay Moore, Eugenia became certified in ATS® Classic and Modern at General Skills and Teacher Training with Carolena Nericcio-Bohlman of FatChanceBellyDance®. 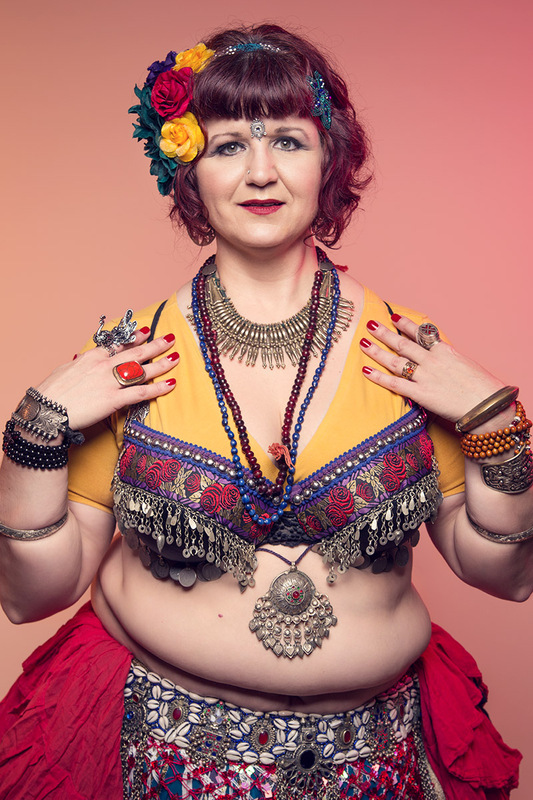 ​For Eugenia, bellydance was first an opportunity to get some exercise, but quickly turned to a passion. The energy and body-awareness brought by this art form inspired so much confidence and so many beautiful relationships. Eugenia assists, subs, teaches, and attends various classes and workshops at Deep Roots Dance. She can be found sipping whiskey, knitting, and chatting with her tribe sisters on any given night.